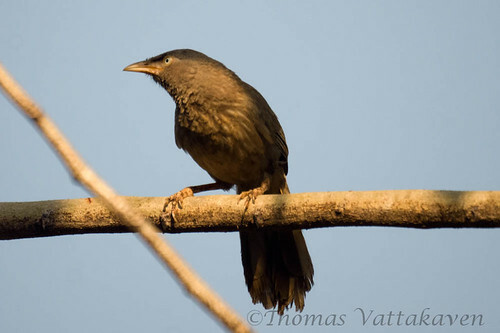 The Jungle Babbler (Turdoides striata) is called as the “Chila-kaada” in malayalam, loosely translating as meaning – Noisy bird. 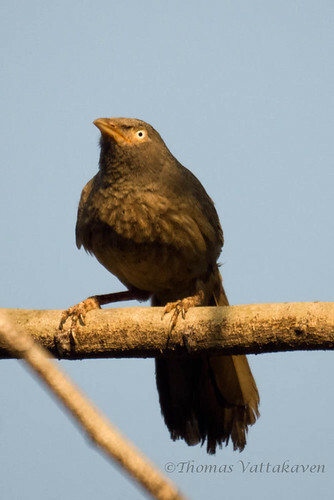 These birds are also called as the “seven sisters” as they always occur in groups of 6-10. 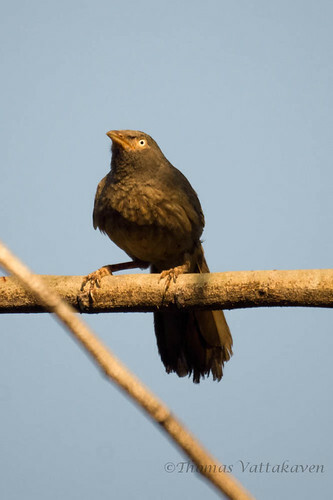 In Karimannoor, they are very common but are mostly heard rather than seen. They feed on insects, fruit and nectar. 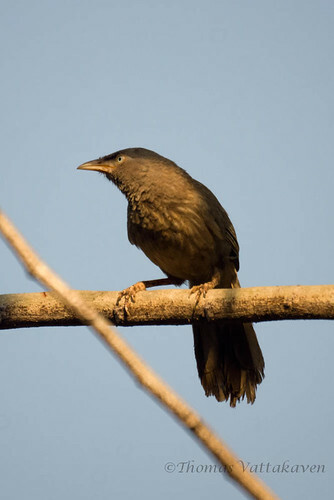 They hang around the undergrowth and in trees and are very restless birds. Being quite shy, they shift locations as soon as an intruder is spotted. They often take up sentry positions and warn other birds when danger is spotted. They are also known to mob predators in groups. The combination of their shy behaviour and always being in shady dark areas resulted in me getting blurred images of them until now. Yesterday these birds happened to pause on a well lit tree on their way across our backyard. 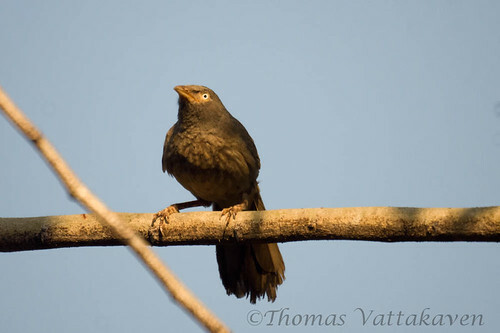 Although I was only able to photograpgh a single individual, a group of 7-10 birds were present. 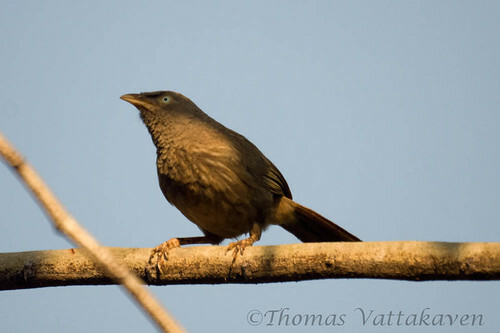 The Babbler has cool looking eyes. Great shot!